2017 is the year of Purple. Witness: We have not just their awesome new album InFinite, but also a new live album included with the deluxe box set version. There is a Classic Rock magazine CD called Limitless including an exclusive version of “Black Night”. There have been two CD singles (“Time for Bedlam” and “All I Got is You“) each with their own exclusives. Now, Deep Purple have released their third single from InFinite, called “Johnny’s Band”. More exclusives abound, making this quite a fun year for Deep Purple fans and collectors. Have you been keeping up? If you bought InFinite (and you should, what are you waiting for? ), then you know “Johnny’s Band” is one of the most instantly catchy songs on it. Upbeat and danceable, “Johnny’s Band” is a hoot. Gillan’s lyrics are witty and honest, and did you notice the musical segue into “Louie Louie”? “Johnny’s Band” is a much more obvious single than the first two they released, so let’s be glad that somebody thought Deep Purple needed three singles for InFinite. The lyrics tell the story of a band who hit it big, fell down hard, but keep slogging away in the bars anyway. In the end, Gillan gives it a positive conclusion. It is, after all, all about the music. And here we are singing along. Perhaps there’s a little slice of life in there. Track 2 is an unreleased studio jam. “In & Out Jam” focuses on a low key guitar riff as its base, but spreads in other musical directions from there. The bottom line is this: Steve Morse, Don Airey, Roger Glover and Ian Paice jamming together is always going to produce something of value. “In & Out Jam” isn’t a song and probably wasn’t likely to ever become one, but these are ideas from the best brains in rock and enough to make the musician in you weep in sorrowful inadequacy. Live tracks from Gaelve, Sweden finish off this single. There are now three different live versions of “Strange Kind of Woman” released this year. My Deep Purple folder has 27 different versions of “Strange Kind of Woman”! How much is too much? Who cares. “The Mule” is played far more rarely, but there is still another version of it on the deluxe boxed InFinite set. It’s a thunderous showcase for drummer Ian Paice, who is still one of the greats at age 69. The years take their toll on everyone, but Paicey does not sound 69 years old here! The last of the live songs is the newest, “Hell to Pay” from 2013’s Now What?! This is only the third live version of the song ever released. It’s a short blast of guitar and keyboard mania, with a chorus on top. Its most interesting feature is the organ solo in the middle, something you don’t hear on many singles (which “Hell to Pay” was). Purple are currently on tour with Alice Cooper. Both artists have put out remarkably strong albums in 2017. Will wonders never cease? Deep Purple are more than just a band, they are a legend. And as such we must judge them a little more stringently than the average band. In 1988 Deep Purple were celebrating their 20th anniversary, but they were actually broken up for eight of those 20 years. And as it turns out, they celebrated their 20th by firing lead singer Ian Gillan! They also released this live album, which failed to excite the general public. Nobody’s Perfect is little more than a sub-Made in Japan. It’s important to note, if you’re going to buy Nobody’s Perfect, there is no point in getting anything other than the 1999 2CD Mercury reissue. Originally, in order to get all the tracks, you had to buy the album on LP and cassette. 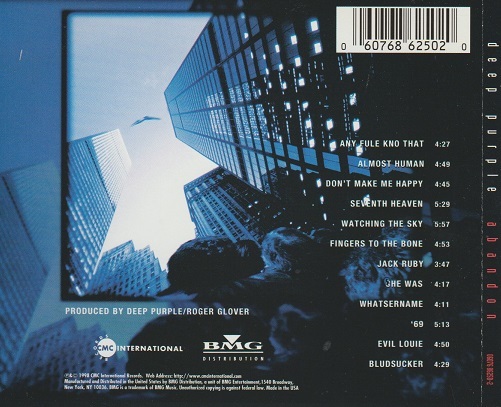 The cassette had one exclusive track, “Dead or Alive”, a rarity from The House of Blue Light. The double LP had its own exclusive, “Bad Attitude”, another rarity from the same album. Meanwhile the single disc CD release was missing both these tracks and “Space Truckin'” as well. In other words, definitely do not buy the original single CD release which is the most incomplete of them all. The big critique levelled at Nobody’s Perfect, then and now, is that the setlist was too safe and a repeat of stuff already released in live form. Ian Gillan himself was one who voiced that opinion. The cassette and LP bonus tracks go a long way to add value, since those songs were dropped after this tour. The only other place you can find live versions of “Bad Attitude” and “Dead or Alive” is the very expensive and out of print Bootleg Series 1984-2000. Otherwise, Nobody’s Perfect consists of all the same songs as Made in Japan minus “The Mule” and with a small handful of newer songs. The album is also sourced from many concerts around the world and completely lacks the flow that Made in Japan had (even though it was taken from three concerts itself). 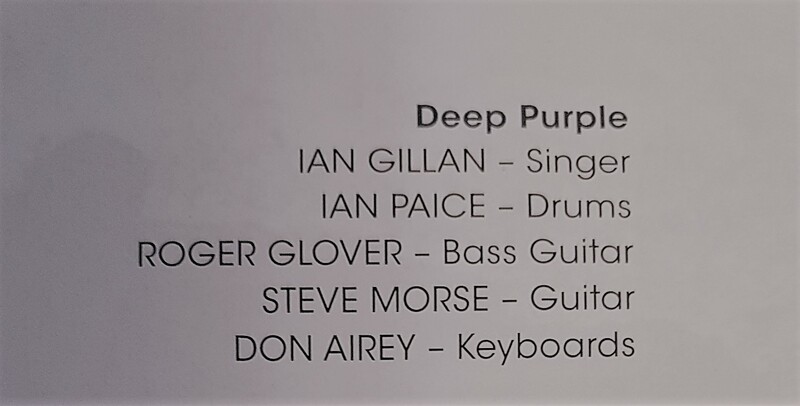 The Deep Purple of 1987-1988 may have had the same members, but they still sounded very different from the Purple of 1972. Ian Gillan’s voice aged as all human voices do, and is the most notably different. Just as importantly though, Deep Purple had drastically cut down the soloing. That’s not a bad thing, but a lot of the shorter jams and solos sounded by rote in the 80s. One new highlight though is a bit of “Jesus Christ Superstar” in the middle of the “Strange Kind of Woman” solo section. Gillan was, of course, the original Jesus on the Jesus Christ Superstar album. Whatever negatives may be applicable, when they rock they rock and when they roll they roll. “Dead Or Alive”, a new song, smokes the stage. “Child in Time” is probably the last decent version of the song released. “Perfect Strangers” and “Knocking at Your Back Door” were fresh and haven’t worn out their welcomes. Finally there is a “Hush”, a re-recording of Deep Purple’s original 1968 single, captured live in a jam. This reimagining of the track has been dismissed as unnecessary but that is an unfair assessment. Ian Gillan and Roger Glover didn’t play on the original, so it’s actually cool to get a nice version with them. “Hush” in 1988 was a heavier track than “Hush” in 1968, but it’s still playful rock and roll. As Purple approaches their 50th, Nobody’s Perfect has faded into the backdrop. As an official live album, it has its place in the discography. With so many superior official and semi-official live releases since, it is hardly an essential listen. This is Part 2 of a double-sized Deep Purple deluxe InFinite box set review! For Part 1, click here. That’s a lot of goodies for a reasonable price, and it all comes housed in a sturdy box. The included DVD is a very intimate look at the creation of InFinite from writing to overdubs. Narrated by Rick Wakeman (you read that correctly), it also looks at the moments that Steve Morse and Don Airey joined the band. Much attention is given to the shocking departure of Ritchie Blackmore in 1993, and the acquisition of Joe Satriani (who is interviewed for the DVD). However, Joe had commitments and couldn’t stay long. Deep Purple couldn’t wait for him, so they had to look for someone else. They had a list, and the first name on it was Steve Morse. Almost instantly they found themselves rediscovering the joy of music. The atmosphere and attitude of the band did a complete 180. When Jon Lord’s passing is discussed, there are a few teary eyes and sincere words. Moving on to InFinite, it is remarkable to watch the band pluck ideas from the air and mold them into songs. Bob Ezrin is a huge part of the process, with his own ideas and preferences. His reputation as a taskmaster is reinforced by the band, but it seems like a very easy collaboration. They have the same goals and desires, and trust each other’s musical instincts. There is also a shockingly frank discussion with Steve Morse, about the osteoarthritis in his picking hand. His technique has, over the years, worn out his wrist to the point that there is bone-on-bone contact. The pain has grown so severe that playing the guitar required him to completely change his picking technique, while wearing a wrist brace. Meanwhile Don Airey gets 20 “Cool Points” for wearing both a Rival Sons T-shirt, and a Winnipeg Jets sweater. Canucks will also be pleased to know that Ian Gillan recorded his vocals at Bob Ezrin’s studio in Toronto. The DVD can be had in a CD/DVD set, so the real reason for fans to choose this box set is The Now What?! Live Tapes, Vol. 2. Vol. 1 was included on the “gold” reissue of their last album Now What?! Vol. 2 is, as it states on the sleeve, “100% live! 100% unreleased!” There are some obscure tracks on here, making this live album very enticing indeed. You don’t have to sit through more versions of “Smoke on the Water” or “Black Night”. Even better, or perhaps best of all to the vinyl nerds, are the lovely records that comprise The Now What?! Live Tapes, Vol. 2. Three 10″ records, each in their own coloured sleeve, and each on coloured vinyl! White, clear, and clear blue. “Après Vous” (from London) commences the proceedings. This newby from Now What?! has a lot of life on stage, and the long instrumental section sounds kinda like the old days. Then an oldie: “Into the Fire” (Milan) from 1970’s Deep Purple In Rock. Ian really strains his voice on this one, but somehow pulls it off with style. Back to London for “The Mule”, a song featuring Ian Paice’s busiest drum work. No problems from Paicey. Indeed, on the DVD Paicey says he hasn’t experienced much physical difficulty in continuing to play the way he wants to. The second record starts with Purple’s recent “Green Onions”/”Hush” medley (Gaevle, Sweden), a cool way to inject new life into one of Purple’s earliest singles. The interplay between the four musicians during the jam section is remarkable. Even though most of the originals are long gone, it sounds sorta like Purple circa 1969. Another medley showcasing Steve Morse (“The captain of the skies, the Aviator”, says Gillan) occupies side two. “Contact Lost” (London) is Morse’s short instrumental tribute to the crew of STS-107, known to most as the Space Shuttle Columbia disaster. This merges into Purple’s majestic song for Jon Lord, “Uncommon Man” and finally Steve’s instrumental “The Well-Dressed Guitar”. One more record to go. The excellent single “All the Time in the World” from Now What?! comes from Aalborg, Denmark. It’s a slick and laid back jazzy rock groove. Purple always seem to find a great groove, and “All the Time in the World” is unlike previous ones. “Highway Star” (London) is like a polar opposite. Though you know they will hold it all together, “Highway Star” still sounds so fast that it could come off the tracks at any time. 1971’s “Strange Kind of Woman” (Aalborg) is a long-time favourite with fun vocal-guitar interplay. Back to London for the last track, “Space Truckin'”. What can you say about “Space Truckin'”? Not much except that Ian Paice still kicks it, and hard! 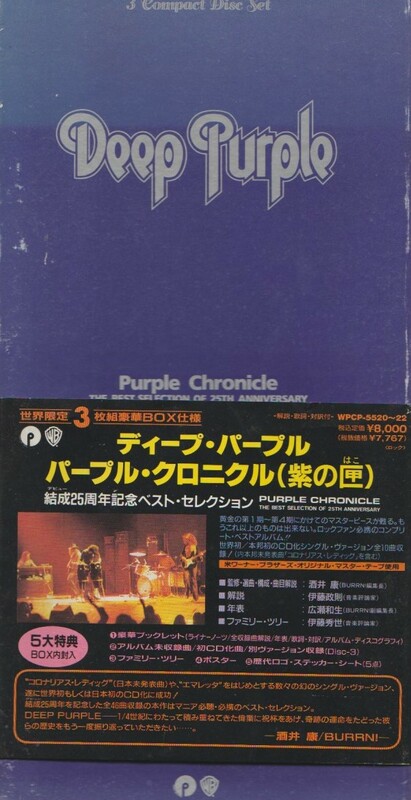 Purple fanatics who still love what the band is doing today will need this box set. It will be indispensable to them. Wear your T-shirts with pride! For the casual Purple fan who just wants to check out the CD and DVD, that edition will suffice. You have to hand it to the folks at Classic Rock. It’s a quality publication that also manages to give out quality free cover-mount CDs. With all the attention on Deep Purple these days due to their newly released album Infinite, Classic Rock have done the band up in style. The CD is not just for beginners either. Limitless (get it?) has a bunch of material from recent vintage and one exclusive track too. That’s right — one track on this CD is exclusive to Classic Rock, so get on it, collectors! At 43 minutes, Limitless has the ideal run time for a great listen through. If you want to check out some new Deep Purple right off the bat, then just dive in. Tracks 1 and 2 are the first two singles from Infinite: “Time For Bedlam” and “All I Got is You”. Both tracks are excellent, and fine samplings of what the current Deep Purple lineup (est. 2003) sound like. With Steve Morse and Don Airey, the band have gone from strength to strength. The instrumental prowess on these songs will easily demonstrate why Deep Purple are universally lauded. Going back one album prior, we have two tracks from the Now What?! period. The single version of “All the Time in the World” is a nice ballad for inclusion, though I think “Vincent Price” blows everything else on that album away. Also included is the rock and roll “First Sign of Madness”. The liner notes state this song is taken from the “Above and Beyond” CD single. That doesn’t actually appear to be the case, but ” First Sign of Madness” was included as a bonus track on many editions of the Now What?! album. The second half of Limitless is dedicated to live material, all classics. “No One Came” from 1971’s Fireball is one of Purple’s most lethal grooves, and is lifted from the deluxe “Gold” reissue of the Now What?! album. Gillan’s voice strains hard on this one. A fun version of “Strange Kind of Woman” comes from the double live 2015 Wacken set. It’s pure delight. Next, “Perfect Strangers” is always welcome aboard, and this live version comes from the parallel double live 2015 Tokyo release. Finally the set draws to a close with the Classic Rock exclusive track, a live tape of “Black Night” from Milan, July 21 2013. Many of the live tracks on the Now What?! reissue come from that gig, but “Black Night” is previously unreleased. It’s a jamming version, over seven minutes and Morse-heavy. 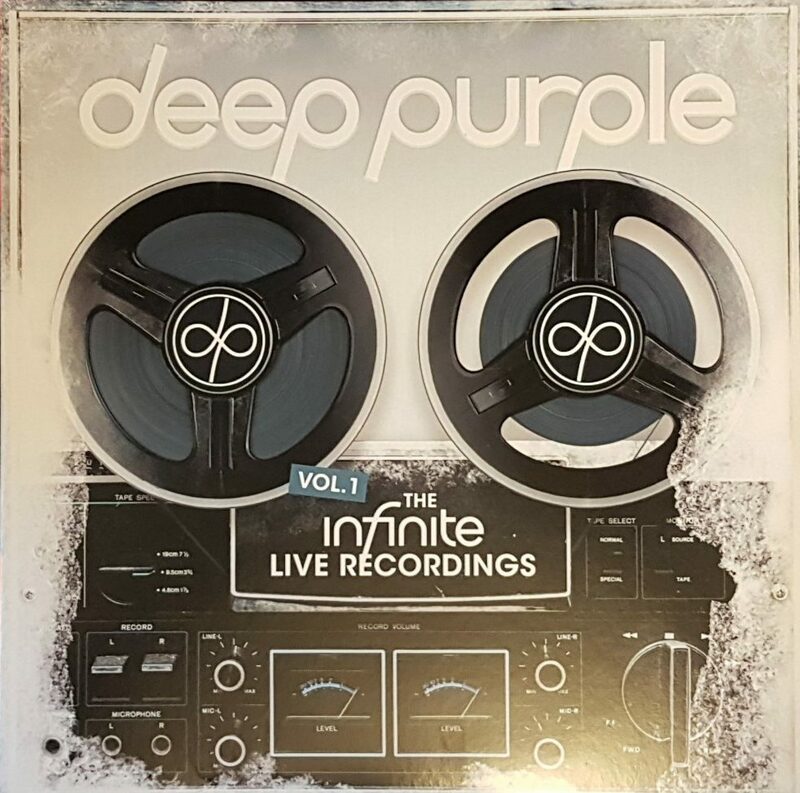 And there are more live tracks from that gig in the Deep Purple Infinite box set version, which looks just fantastic. And magazine isn’t bad either! The Deep Purple interview reveals some of the lighter side of the legendary Gillan/Blackmore relationship, tempered by the passage of time. Incidentally, the magazine gives Infinite 7/10 stars. That’s not bad for a band about to hit their 50th anniversary in a year’s time. Check it out, and enjoy the 8-track CD Limitless while you read along!